Established in the year 2014, Revomac Industries is the fastest growing Manufacturer and Service Provider firm engaged in providing the modernised range of Brick Making Machine and Block Making Machine, Vibrating Tables and Pan Mixer. 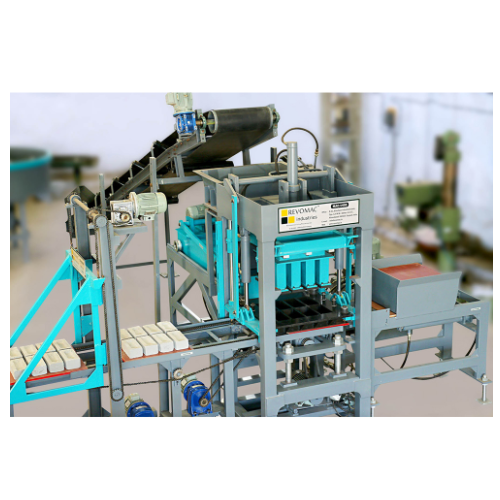 With an ideal integration of software and hardware, we are able to develop an extensive range of best quality machinery which includes Brick Making Machine, Paver Mold and Batching Plant. Further, our offered line of products is manufactured on highest quality specifications of sturdy construction, robust performance, precision engineered fabrication, environmental sustainability, and cost efficiency. Besides, we are dedicated to providing satisfactory Brick machine maintenance services that feature utmost professionalism, timely execution and competitive price bands.